It's day 7 of Exhibited's 12 days of Christmas giveaway! Today's prize up for grabs is an Iguanadon Collecta figure! It's day 6 of Exhibited's 12 days of Christmas giveaway! Today's prize up for grabs is an Acrocanthosaurus Collecta figure! It's day 5 of Exhibited's 12 days of Christmas giveaway! Today's prize up for grabs is a Velociraptor Schleich figure! It's day 4 of Exhibited's 12 days of Christmas giveaway! Today's prize up for grabs is a Tenontosaurus Collecta figure! It's day 3 of Exhibited's 12 days of Christmas giveaway! 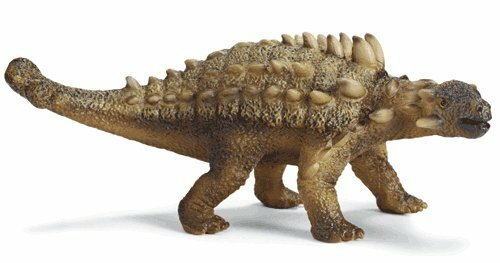 Today's prize up for grabs is a Triceratops Schleich figure! Also, if you're planning on buying scales - I'd definitely recommend buying before Christmas, so you get a chance to win the Jurassic Park trilogy on BluRay disc! Another new prize is here! For every scale purchase made between now and December 25th 2011, you will automatically be entered into a raffle to win the Jurassic Park trilogy on BluRay disc! It's day 2 of Exhibited's 12 days of Christmas giveaway! Today's prize up for grabs is a Dimetrodon Carnegie figure! One entry per person please, anything from second accounts will be invalid! Today's prize is a Saichania Schleich figure! I'll also aim to have a snowball leaderboard up by the end of the week! Happy 1st of December everyone! I have some exciting updates for you all. The snowball fight has also made its way back! Snow will begin falling on your farm every fifteen minutes (if you are online, and have less than 20 pieces currently), and it takes five pieces to make a snowball. Once you've made a snowball, you can throw it at anyone who is online. Every 6th snowball thrown wins a Chunk of Meat in Ice and the top three people with the most snowballs thrown at the end of December will receive some scale prizes. As you can see, we also have the beautiful new winter banner up for the layout! The 13+ users are running a Secret Santa and I definitely recommend you guys participate! The thread can be found here: clicky. I haven't noticed ones for under 13s yet but if you guys feel like it, you should definitely start one! The new monthly donation item has changed, to the Toy Sailboat. 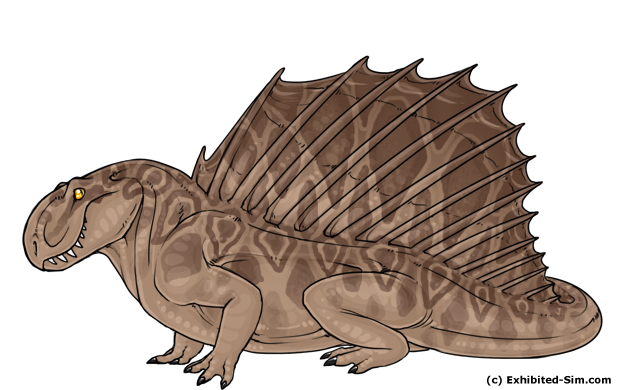 This item will transform your dinosaur into a DIMETRODON! I may or may not also launch a winter writing/art contest guys too, we'll see! As voted on the poll, I have removed stat caps and also re-adjusted food to boost the same amount as it used to. If you see any bugs with this please report, but it should be done! Thanks everyone for trying this out at least, but the majority vote ruled and I listened and restored it back to how it was. <3 I hope this will make you guys happy! 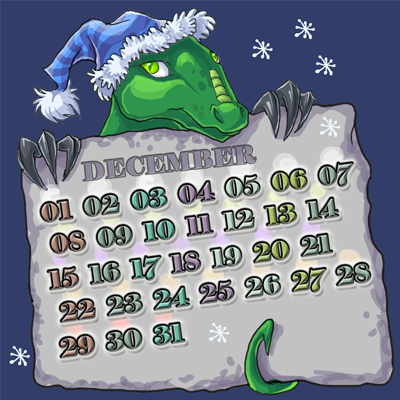 Xylax has redrawn our enrichment items too and is planning to redraw a bunch more items also! And the Black Friday sale has ended. Thanks everyone!